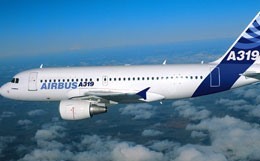 The Airbus A319, while similar to the A320 in most respects, is designed for versatile markets around the world. The A319 is the "Middle Child" of the A320 family, and it is also the newest. It is an impressively versatile aircraft that has the capability to execute steep approaches in to short fields, while perfectly at home supporting markets out of larger hubs. 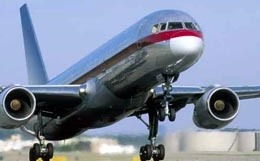 Entering in to service in 1995, Airbus has used this aircraft to fit yet another niche in the jet airliner market. The Airbus A319 family was one of the first aircraft to use a substantial amount of light-weight, but very strong composite materials. Several parts of the aircraft, including the tail assembly are entirely made out of composite materials. The flight deck is considered revolutionary for its day. As the first aircraft to take advantage of entirely fly by wire flight control systems, this aircraft set the standard of other competitors to follow. Additionally, with modular components on the flight deck system, the Airbus A319's avionics can easily be kept up to date with the most recent avionics. 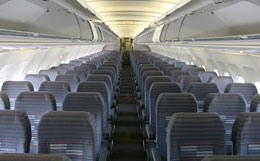 The cabin of the Airbus A319 is configured 6 abreast with a standard configuration of 107 seats, and with a maximum seating capacity of 160, each configuration having 1 lavatory in the front of the aircraft and 2 located in the aft cabin. 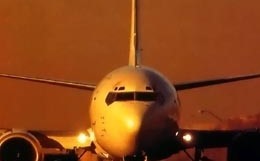 The Airbus A319 is a versatile and capable medium range transport aircraft. With a service ceiling of 39,000 feet, and a top speed of MACH.82, this aircraft can easily avoid weather and produce short trip times between destinations. 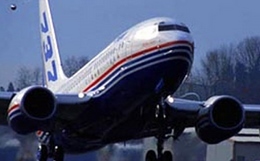 The Airbus A319 has a range up 5,600 miles, making transoceanic flights possible. 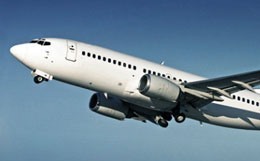 For more information about chartering, leasing or buying a Airbus A319 please contact us by calling +44-20-3874-8091 or send us an email here.